Jingle jingle! It's time to kick off the giveaways! Yesterday I shared my Best Gifts for the Home Cook list for 2015 (go here to take a look at the full list). It represents some of my favourite items to wrap up for friends and family who love to spend time in the kitchen. 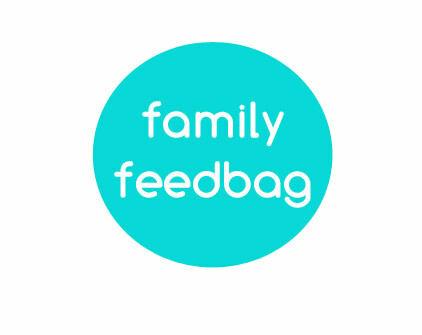 The best part about this annual campaign on Family Feedbag is that I give away every item on the list! 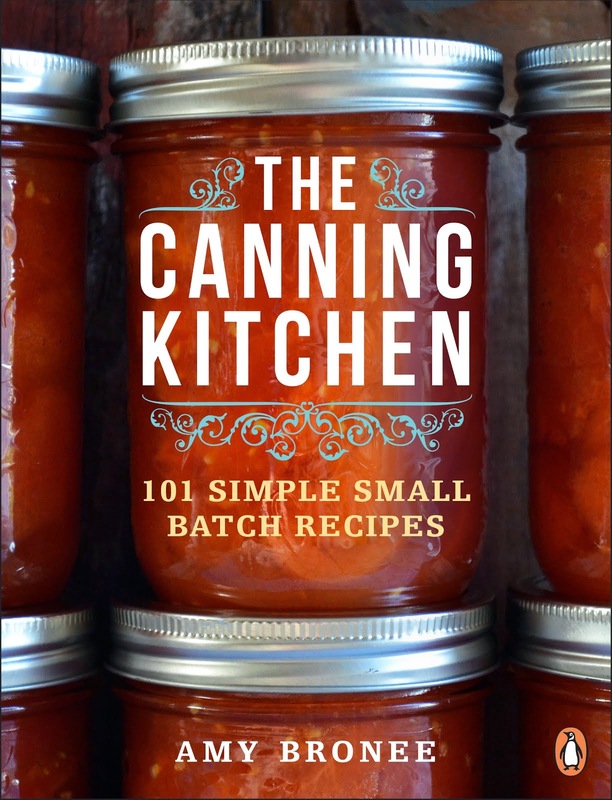 Yes, because you come here and indulge my recipe writing habit all year long (seriously, thank you for that), this is my chance to show my appreciation and toss a little sparkly magic dust into the air to help get us all into the holiday spirit. 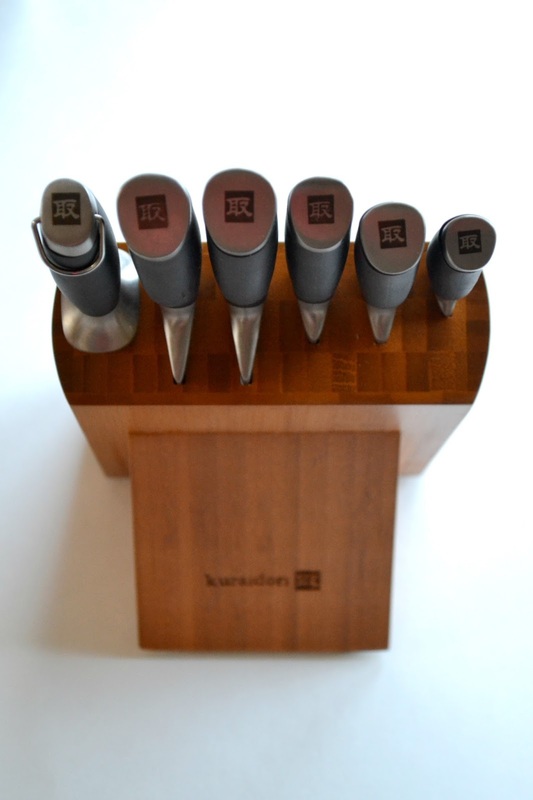 The first item I'm giving away is a 7-piece Kuraidori knife set and block, exclusively from Home Hardware. 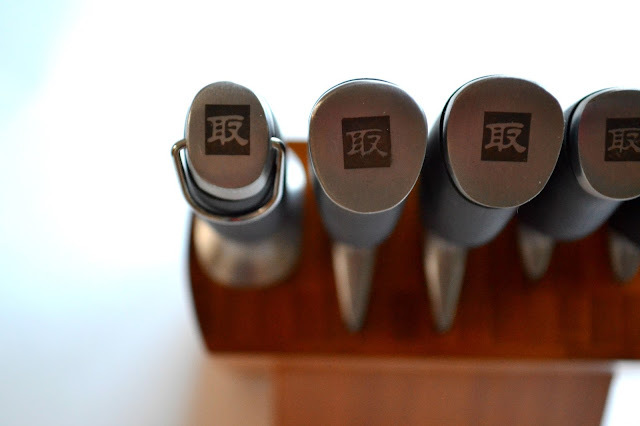 If you're like me, knives are at the heart of almost everything you create in the kitchen. The right knife makes the job easier, quicker and safer. And just like any kitchen tool, knives need to be replaced over time when they become damaged or just aren't doing the job like they used to. This incredible set comes with all your standard knife sizes, plus a sharpening steel to keep them slicing smoothly. 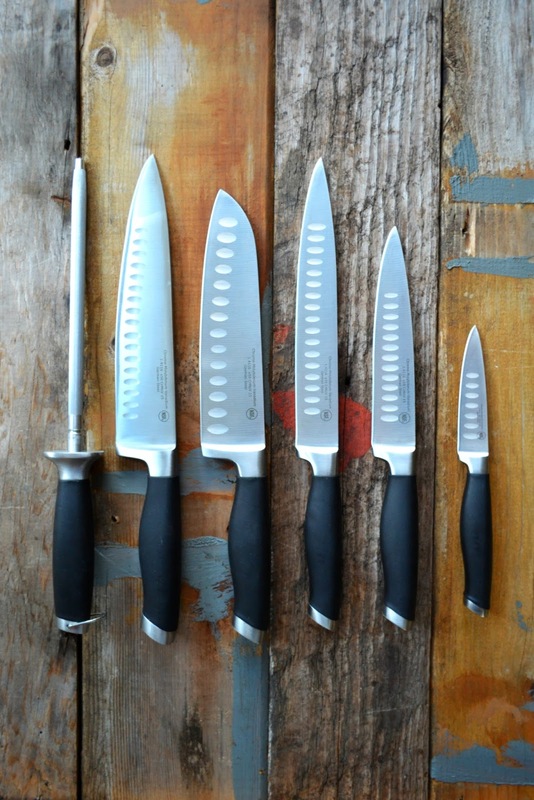 The blades are made with high quality German steel, giving the perfect amount of heft to each knife, and the handles offer a secure grip to make chopping and slicing a breeze. These are amazing knives. I cut a large watermelon the other day and it sliced it like a hot knife through butter. I love a great knife, and now you can have a whole set of them. Scroll down below to enter the giveaway. It's really simple to enter. And make sure you come back for more giveaways in the coming days. Magic dust to all! To enter the giveaway of a 7-piece Kuraidori knife set with block, available exclusively from Home Hardware, leave a comment on this blog post telling me what food you find to be the most difficult to cut up. PLEASE LEAVE AN EMAIL ADDRESS SO I CAN CONTACT YOU IF YOU WIN. One entry per person. Canadian residents only. A winner will be selected randomly on Tuesday, December 8th, 2015 at 9 p.m. Eastern/6 p.m. Pacific. The winner will be contacted directly and announced on Family Feedbag and its associated social media channels. Mangoes - I always feel like I'm wasting half the fruit cutting it up the "correct" way. Yams and sweet potatoes are so hard to cut through! Tomatoes unless you have a fantastic knife and butternut squash is always a workout! ONIONS! I cry every time! Sweet Potatoes! They never turn our nicely cut! Turnips are the most difficult to cut up! Ugh, spaghetti squash is impossible, especially without any grown-up knives! I almost took my thumb off last week! Watermelon, cantaloupe and honeydew, particularly early in the morning when I'm making lunches! Yams and sweet potatoes always! ...and tomatoes unless my knives are really, really sharp! Tomatoes! and peeling things - I'm desperate for a good knife to take the peels off of squash, parsnips, etc. I have a hard time with pomelo's...but I love them so much! I usually struggle to open them, but so worth it when you finally get to the flesh. I highly recommend it to anyone who has not tried one before! A good knife set would be an amazing holiday surprise! I'd say I have a hard time with butternut squash. Always seems so hard to cut and then peel. Argh! The hardest thing to cut is lots of onions- my eyes water so much it is hard to see! Broccoli and cauliflower.... I don't know why, I just always dread cutting them up! Pumpkins! Uggh and spaghetti squash. This year I roasted them but the cutting them in half is the hard part! Thanks for the opportunity, what a wonderful set!! I find mincing garlic hard-and a good knife would help. Thanks for the giveaway, Amy!! Pineapple! I have a heck of time finding the right cut between wasting a ton of fruit and getting all the eyes and spikes out. Winter squash, tomato and raw meats for me! Squash is definitely hard to cut. As we don't eat any kind of squash the hardest thing for me to cut is a large cabbage. I always have to ask my husband do it for me! I have difficulty with butternut squash and also fresh bread! 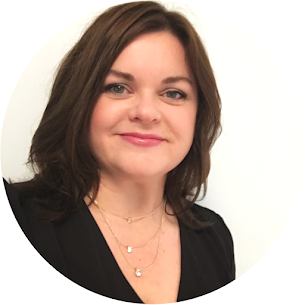 Thanks for the giveaways, love your website, nice to see a local blogger doing so well! Sweet potatoes can be tough! My email address is fareen foodmamma com. I hate cutting bacon that isn't frozen --or bacon that is frozen rock solid, haha! Meat that is full of bones to cut/cut around! Soft cheeses or potatoes are still difficult to cut without them sticking to the knives. I have a hard time cutting through melons and squash. Ohh...spaghetti squash is a tough one.